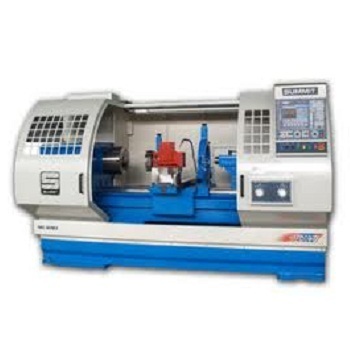 We are offering a quality range of CNC lathes Machines to our clients as per their requirement. Our machines are widely praised by our customers for high efficiency and satisfactory performance. These CNC Lathe Machines are made by using advance technology and high quality raw material. Our range of CNC Lathe Machines are widely appreciated by our clients for its hassle free performance and other unique features. Sreesh Machine Tools was established in the year 2012. We are supplier and Wholesaler trader of Injection Moulding Machine, Used Grinding Machine, Vertical Turret Lathe and etc. These products are procured from the authorized vendors. Our product owes the best features like high strength, dimensional accuracy, durability, high performance, low maintenance, etc. Being a quality oriented company, we ensure that only best products reach our clients. In addition to this, we are also a reliable service provider engaged in providing hub of services like old machines retrofitting.